The Ferris® F160Z comes equipped with serious features. 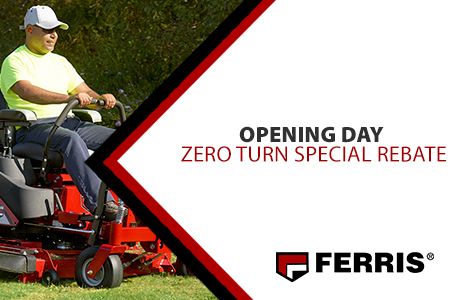 This compact and powerful zero-turn is designed to get you in and out of your jobs quickly and confidently. You'll find the twin 5.5 gallon rugged fuel tanks, for a total capacity of 11-gallons, to keep you productive on the job site all day. 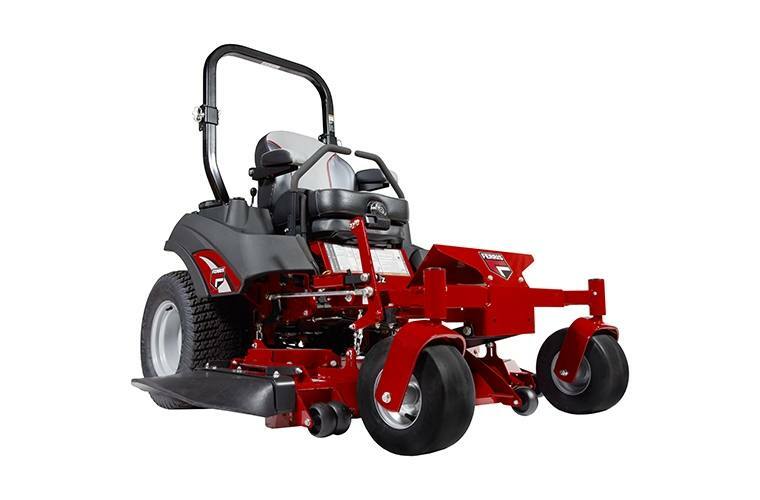 Briggs & Stratton® Vanguard™ 810cc EFI or a Kawasaki® FX730V engine options offer fuel efficient and dependable performance with a 3-year limited manufacturer's warranty†. Affordable Power: Now available with a Briggs & Stratton® Vanguard™ 810cc engine, which delivers uncompromised power at an affordable price. iCD™ Cutting System: The iCD™ Cutting System was engineered to produce the best possible cut in a multitude of conditions. Accessibility: Quick removal of the floor pan provides convenient access to the top of the deck for easy cleaning and service. Foot-Operated Deck Lift: Foot-operated deck lift, with adjustable pedal, can change cut height in 1/4" increments from 1.5"- 5". Traction: Large 24" drive tires allow for greater traction, smoother ride and improved curb climbing performance. Premium Seat: Suspension seat for optimal comfort. 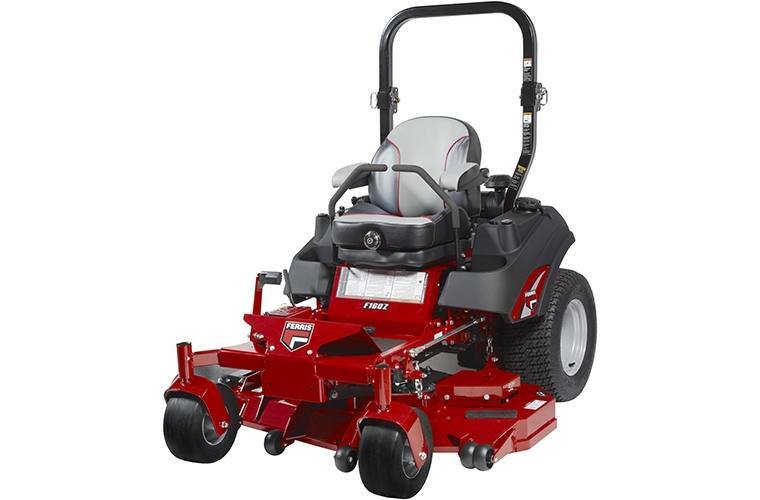 Ride-On Mower Warranties†: 4-Year limited warranty (48 months) or 500 hours, whichever occurs first. Unlimited hours during the first 2 years (24 months). Belts, tires, brake pads, battery, blades: 90 days. Warranty (Balance of Machine) †: 4-Year limited warranty (48 months) or 500 hours, whichever occurs first. Unlimited hours during the first 2 years (24 months). Coverage on other components varies, please see operator's manual for complete details. † See operator's manual or dealer for complete warranty details. Refer to engine operator's manual for engine warranty. We recently announced an exciting new savings program for our military and first responders called A Cut Above. With this program, we are able to provide savings, up to $1,000*, to those who serve us and the country the most. Are you a military member or first responder? 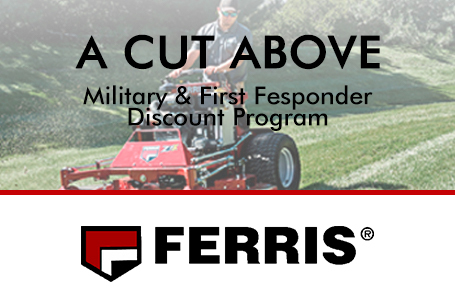 Consider Ferris® and the A Cut Above discount the next time you're looking for an easy to use, and easy to own lawn mower. From 11/11/18 to 6/30/19, take advantage of this special rebate savings event. See rebate form for details. Offer cannot be combined with any other offers such as Bid Assist, Equine Program, PPP, Fleet Rebate, etc. 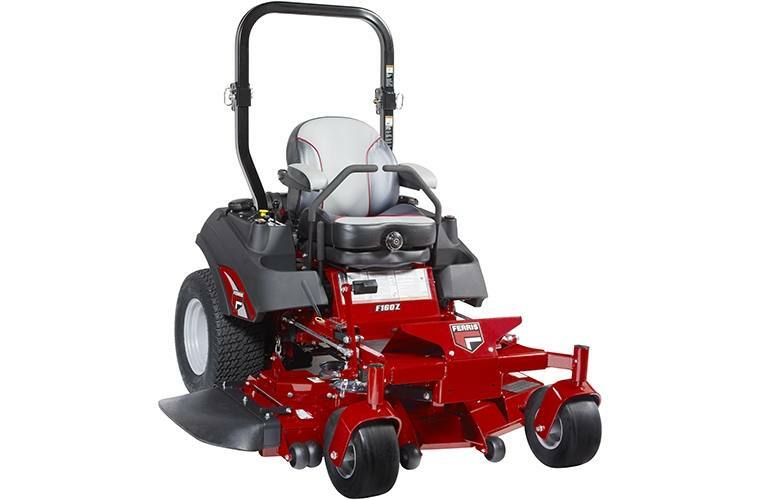 Download mower rebate form for complete details, terms and conditions. *Rebate form, proof of purchase and proof of status required to receive Visa Gift Card Rebate. *Qualified consumer and commercial customers no interest until September 2019. No Payments until October 2019 then 1.99% for 24 months. *Qualified consumer and commercial customers no interest until September 2019. No Payments until March 2019 then 3.99% for 48 months. Qualified commercial customers may be offered no Interest until September 2019 and no payment until October 2019, followed by 1.99% for 48 months. 0% interest for 42 months on your next Ferris purchase! See dealer for product eligibility and qualifications between 2/1/2019 and 3/31/2019. 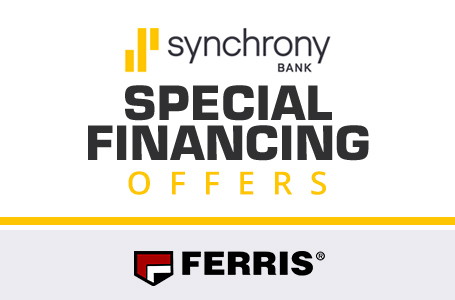 0% interest for 12 months on your next Ferris purchase! See dealer for product eligibility and qualifications between 2/1/2019 and 3/31/2019. 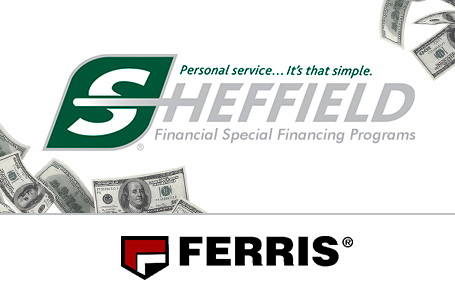 1.99% interest for 48 months on your next Ferris purchase! See dealer for product eligibility and qualifications between 2/1/2019 and 3/31/2019. 3.99% interest for 60 months on your next Ferris purchase! See dealer for product eligibility and qualifications between 2/1/2019 and 3/31/2019.